Children 2-3 How to make a fan with your own hands. 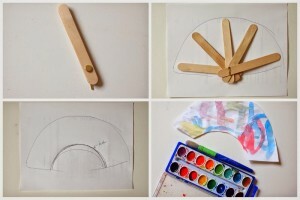 How to make a fan with your own hands. 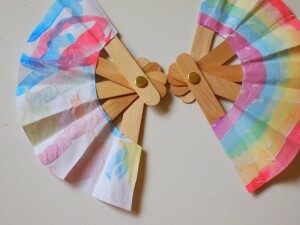 Today I want to share with you the idea for a super simple and quick crafts with children. Doing such a fan will especially please the little princesses! We need: We need to drill the holes in the sticks (in the same place), then fasten them with special fasteners, if there is not one, the ribbon is suitable Or dense threads (in this case, the holes should be made closer to the end of each stick, so that the tape does not interfere with the opening of the fan). Then we measure and cut out a piece of paper, it is better that the paper is half the length of the sticks, so the fan will be better closed. 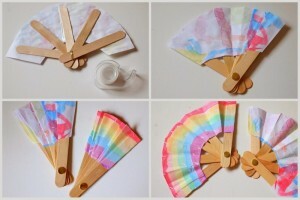 Now color our fan and attach the paper to the sticks. It is better to fix everything behind the back with scotch tape. Crafts for Christmas. Decor yourself.